Often seen as the author of timeless Christian theology, Paul himself heatedly maintained that he lived and worked in history's closing hours. His letters propel his listeners into two ancient worlds, one Jewish, one pagan. The first was incandescent with apocalyptic hopes, expecting God through his messiah to fulfill his ancient promises of redemption to Israel. The second teemed with ancient actors, not only human but also divine: angry superhuman forces, jealous demons, and hostile cosmic gods. I really liked this one. Good. Wasn't haughty. Pagans explores the rise of Christianity from a surprising and unique viewpoint: that of the people who witnessed their ways of life destroyed by what seemed then a powerful religious cult. 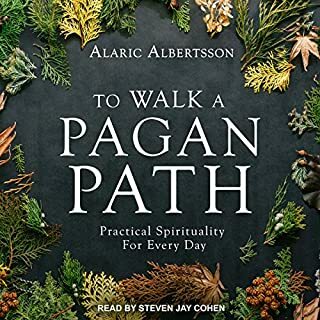 These "pagans" were actually pious Greeks, Romans, Syrians, and Gauls, who observed the traditions of their ancestors. To these devout polytheists, Christians who worshiped only one deity were immoral atheists who believed that a splash of water on the deathbed could erase a lifetime of sin. In A.D. 381, Theodosius, emperor of the eastern Roman empire, issued a decree in which all his subjects were required to subscribe to a belief in the Trinity of the Father, Son and Holy Spirit. This edict defined Christian orthodoxy and brought to an end a lively and wide-ranging debate about the nature of God; all other interpretations were now declared heretical. It was the first time in a thousand years of Greco-Roman civilization free thought was unambiguously suppressed. ©2010 Charles Freeman (P)2010 Audible, Inc. If you could sum up A.D. 381 in three words, what would they be? Did Robert Blumenfeld do a good job differentiating all the characters? How? No all sounded the same. Was not big deal with the subject matter. Requires a couple of listens. OK, so I've ONLY listened to the entire book once. I really feel I need to listen to it again to "get" the point fully. Lots of details, lots of people. The last chapter, summarizing the book's theme, should have come at the beginning to give more perspective and set up a framework for listening to the rest. My biggest criticism, however, is the narrator: he reads WAY TOO FAST, and with insufficient phrasing and inflection. This is very dense material, and while interesting, needs to articulated carefully to establish the point of each sentence. If you are interested in late antiquity and the early middle ages, the book paints a detailed arc of history, but you don't realize what that arc is until the summation at the end. I've read Freeman before. This audible book is fine but LORD I want to smack the narrator! Is he trying to sound pedantic? He has this horrible habit of ending a sentence with an upWARD TONE?!?! It gets daMN ANNOYING! Seriously, he sounds like an obnoxious minor character in a Dickens's play. He has good timbre. But he really needs to change his style. Despite that the book is good. A lot of what's here can be found in "The Closing of the Western Mind." This identifies exactly why, where and what took place to the European mind set that religion affected completely to become Dark. The finale leaves you wondering what could have happened! Really enjoyed this book. I have always been interested in this subject. The pagans, early church politics, and heresies interactions are fascinating. This writer handles it all in a professional and well written manner. The narrator was masterful. Good listen. This is a topic that I am greatly interested in, but the reading of this book is very dull. Even though the information is interesting, the reading lacks inflection and storytelling -- the reader pounds on and on and after I while I found myself tuning out. I quality reader would have made this book worthwhile. Charles Freeman's account of the events surrounding and following the First Council of Constantinople condenses an enormous amount of scholarship into accessible form. Unfortunately, Robert Blumenfeld seems to think he's reading a script for 1940's newsreel footage; I found his performance distracting and annoying, particularly in the first few chapters (Mr. Blumenfeld seems to have lost a bit of steam as the book goes on, taking some of the edge off his highly stylized (and inappropriate, IMO) "dramatization." Interesting book; lousy performance. This is a hard book to review. I'm glad I listened to it, but I feel like I can't strongly recommend you do so. It's not a very enjoyable listen. I found myself frequently turning it off, even when I was doing nothing terribly important. It's full of detail that perhaps is important to making the author's case (though I question that), but which very few people will ever absorb let alone recall. What I liked most about Freeman's perspective is that he engages his historical subjects as human beings. I remember from my required freshman humanities courses a constant refrain about how we can't impose our values on the past, that historical figures like Augustine need to be related to on their own terms, and that looking at them through something like a modern psychoanalytic lens is just wrong. Freeman is, unapologetically, more a popular writer than an historian or humanist, and he doesn't dilly dally around with this. He shows that early Christian thinkers asked the sort of questions you'd expect sensible people to ask when confronted, in a serious way, with nonsense: was Jesus less than God the father since the latter created (begot--what does that even mean?) the former? Was Jesus created at the beginning of time, or was he there before that? Did he assume his human essence at birth, or did he exist in Mary's womb? Freeman attempts to connect this line of inquiry directly with the tradition of Greek thought: early Christian scholars were trained at schools that could trace their origins back to Plato. These early scholars could frame solid philosophical arguments and could debate (and felt able to debate without fear of earthly or heavenly reprisal) at a high level, whereas later Medieval scholars had lost this ability. I'm no expert, but I found this line line of argument compelling. The obvious conclusion from Freeman's arguments both in this and his previous book (which I have not read) is pro-secular: Christianity, and more generally religion, closed the Western mind. From his introduction, Freeman is clearly unhappy being associated with this view. 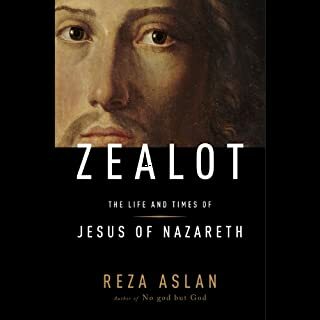 He makes the obligatory swipe at New Atheism before sketching out a subtler thesis: It wasn't religion or (mono)theism that ended the tradition of free inquiry in Western thought for a thousand years, it was rather the intervention of the state into religious matters, especially in a religious conclave of 381. This is the core of Freeman's argument, and the main point on which I'm unconvinced. There are several lines of attack, but I'll just take one: that state intervention to resolve the never-ending disputes of the early Christian church was inevitable well before 381 given the interminable and destabilizing nature of the disputes themselves. This was clearly the perspective of many of the state actors (various emperors especially) who Freeman quotes. In the end, I felt like Freeman was trying to thread a needle (with a camel). Freeman has a strange reverence for philosophical debates, even when they fall into the Seinfeld category of debates about nothing. Again, I like that he engages with these historical disputes without condescending to them, but I feel like there's way more detail than there needs to be. 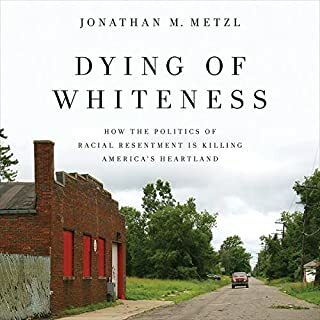 This is, unfortunately, usually what happens with scholars who are questioned: they write another book that reads like the endnotes to their first book. At the same time, Freeman's lack of academic chops shine through in his failure/refusal to engage with, or really give any sense at all of, the existing literature. I have no idea which pieces of Freeman's argument are novel and which are well-trodden. I'm also unclear (I assume these are in actual endnotes of the print version) what his sources are, or how this information about the 3rd and 4th century came down to us. That would have been quite interesting to discuss in the text, I think. I hope this makes clear why I say I'm glad I listened to it but I don't recommend it. As for the narrator: yes, he has an annoying way of ending every sentence like it's a cliffhanger. But it honestly stopped bothering me pretty quickly, and I doubt you'll find it a problem. What made the experience of listening to A.D. 381 the most enjoyable? Robert Blumenfeld's narration was simply excellent. What was one of the most memorable moments of A.D. 381? I don't think it would be fair to point to one particular moment or portion of the overall text- as it was intensely engaging throughout. What about Robert Blumenfeld’s performance did you like? I have listened to numerous audiobooks and Robert Blumenfeld's performance is at the top of a rather short list of narrators that I have given a rating of 5 stars to. If you enjoy an engaging narrator, Blumenfeld will definitely satisfy you. 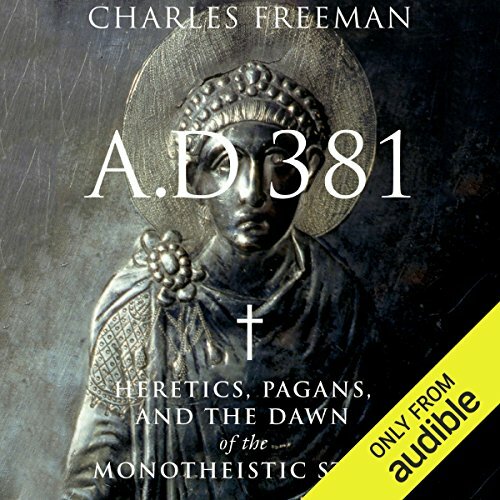 No extreme reactions, although I did find Freeman's solid academic analysis of a rather complex period of the early Christian Church rather refreshing. 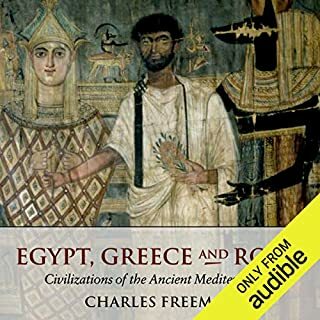 This is a solid analysis of the available (and credible) source material(s) for those who wish to examine the history of the Christian Church- from the 2nd through 6th centuries CE. This book is not about apologetics and pulls no punches (academically speaking) in its analysis of the politics, theology and philosophical traditions of the period. Charles Freeman displays the ability to parse out fact from fiction- or more precisely, evidence and reasoned analysis from tradition and credulity which is far too pervasive in Christology. 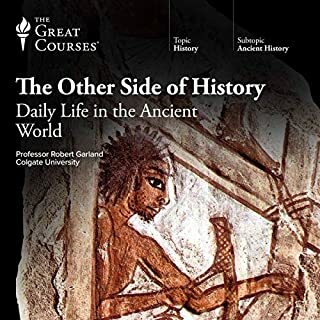 As an instructor of ancient history, I will be adding portions of this text to my list of suggested readings for my students. 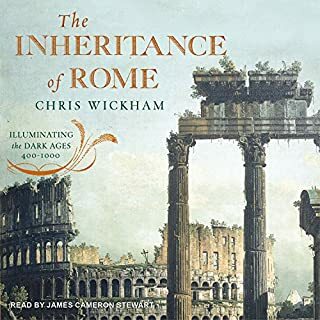 Any serious student of history, particularly those focusing upon the Later Roman Empire would be well served by a detailed reading and analysis this text. Well done Charles, well done indeed!